JD DiFabbio isn’t the only listener who’s asked Marfa Public Radio about the status of horny toads in West Texas. She wants to know the current population; another listener is curious if they’re endangered yet; another wonders if she’s seen fewer of them in her backyard because she’s depleted their diet by getting rid of pesky ant beds. West Texas Wonders is teaming up with Nature Notes to answer these queries about the horny toad. 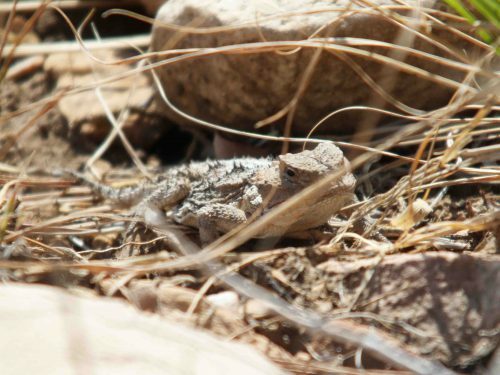 This entry was posted in and tagged horny toad, Nature Notes, West Texas Wonders. Bookmark the permalink.